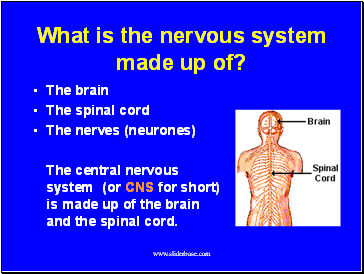 The central nervous system (or CNS for short) is made up of the brain and the spinal cord. 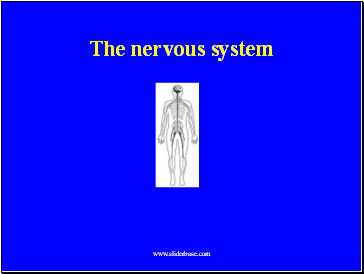 What is the job of the nervous system? 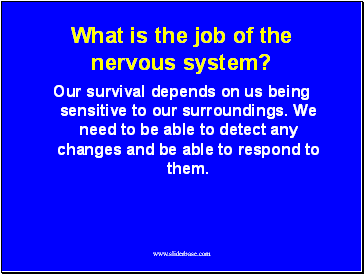 Our survival depends on us being sensitive to our surroundings. We need to be able to detect any changes and be able to respond to them. 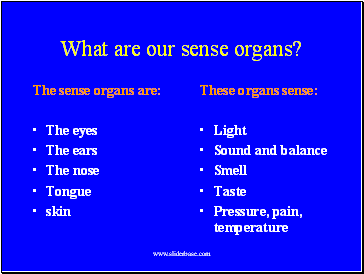 What are our sense organs? 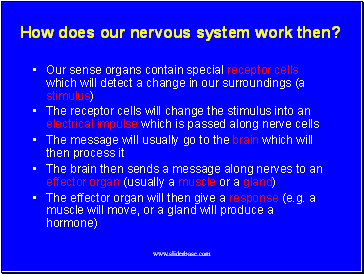 How does our nervous system work then? Sometimes a stimulus requires an immediate response. 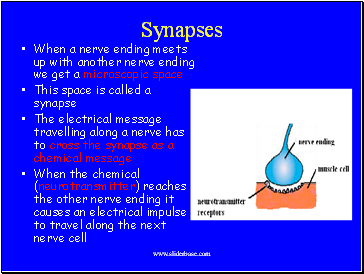 This is called a reflex action. 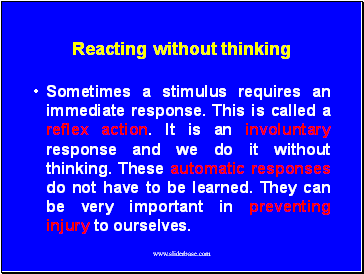 It is an involuntary response and we do it without thinking. These automatic responses do not have to be learned. They can be very important in preventing injury to ourselves. 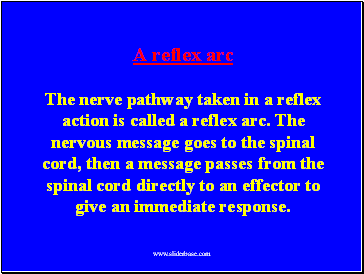 The nerve pathway taken in a reflex action is called a reflex arc. 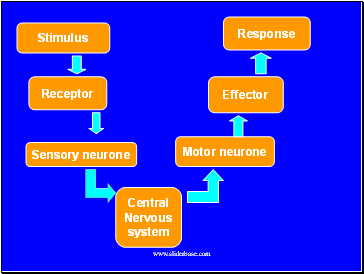 The nervous message goes to the spinal cord, then a message passes from the spinal cord directly to an effector to give an immediate response.